A Distributor Partnership Programme, if designed and implemented correctly, can be one of the most powerful tools in the Route to Market (RtM) armory for delivering sales growth. 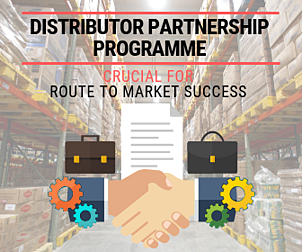 A Distributor Partnership Programme sets out which individual distributors or distribution network(s) you will work with. It details, ideally within individual simple Distributor Development Plans, how you will work with them, what specific areas they need to improve on, exactly what they need to deliver and what is in it for them. All of this will be done with the back drop of the specific market you operate in, set against agreed timelines, and the programme must map out a win/win for all sides. The Distributor Partnership Programme works best as part of an overall RtM improvement plan, but at the very least needs to be coupled with Distributor Assessments, which I covered in an earlier post. Once we have assessed what we already have/what is out there, we can then decide who, and on what basis, we want to partner. Welcome to my blog series on the 20 Steps to Route to Market Excellence model. Over the past number of months, we have gone through the first 14 steps of my model. The focus of this post is Step 15 ‘Distributor Partnership Programme’. Based on the RtM Strategy & the 4D Approach chosen in Step 5, what is our DIME approach for our Route to Market? What is a reasonable expectation of our distributors? Have we defined exactly what this is in terms of process and performance? Have we included sales processes, logistics performance and back office performance? How do we measure this? Based on the Distributor Assessment in Step 3, how many of our current distributors do we want to continue to work with? What is the minimal size of a viable distributor, including the ability to fund any required investment? What is the optimum number of distributors? What is the current contractual arrangement with our current distributors? How many of our current distributors are we looking to end our relationship with? Upon what basis can we make such a judgement? What is the current contractual arrangement with them? What is our approach and plan for ending this relationship? Will there be financial or other implications to ending any relationships? Have we conducted a risk and continuity of supply assessment? Have we included factors such as resource (specifically cost), product supply, politics, competition, timing, future relationship, perception, etc.? Will we look to engage with any new distributors? What criteria will we use to make these decisions? Who are these new distributors? What is our engagement plan with them? Are we currently operating on an exclusive distribution system? If not, is that something we have identified as a priority going forward? If not, how will we manage potential conflicts that could arise? Have we considered the output of our Competitor Analysis in Step 4? What impact will this have on, for example, looking at distributor exclusivity, starting and ending relationships, distributor development plans, etc.? Based on the Distributor Assessment in Step 3, what does our ideal or model distributor look like? What criteria are we using to create this ideal distributor? Have we taken local geographic, technological, political and economic conditions and nuances into account? What does the Balance Sheet of a Model Distributor look like? Based our RtM targets identified in Step 5, and looking across all of our distributors, existing and new, what will the Distributor Development Plans of each distributor look like? Will the Distributor Development Plans include areas of, for example, geographic coverage, number of vehicles, availability of data, inventory levels, reporting, calls per day, steps of the call, route planning, flexibility (e.g. new brand launches), brand distribution criteria, point of sale material placement, planogramming, display, brand dialogue, promotions, pricing, product returns/complaints, retailer engagement, to name a few? Out of these Distributor Development Plans, do we have a simple specific strategy for each distributor – e.g. defend / increase market share, improve selling processes, develop or expand van selling etc.? What will our partnership programme look like? What criteria will we use and how will this be measured? Will we categorise distributors into different performance categories? If so, what will these categories look like, how many will we have and how will this be measured? What will the rewards in the partnership programme be? Will we use a discount system, a rebate system, a prize-based system, a combination of these, etc.? Have we considered budgetary factors? Will this be self-financing through volume gains? Have we mapped out the success of different scenarios to fully uncover maximum cost exposure? Will we differentiate distributors based on, for example, size, volume, market share, reach, coverage, reporting, data, access, etc.? Will this be a national programme? Will we need a pilot in one region for example? Will we allow geographic nuances and differences to be considered? Will here be any effect on headcount in the RtM team to support the programme? Will we need specific Distributor Development roles, or will these activities be accommodated in BAU? What will the training programme be for our key account and RtM team? What is our roll out plan for this? Have we developed new SLAs or key account agreements to take account of the above? All Distributor Programmes should increase sales and market sharer, so what expectations do we have for our programme? Based on all the above, what is the implementation & engagement plan for the Distributor Partnership Programme? I hope you find this useful, as always views and comments are welcome. Next, I will cover Step 16 ‘Third Degree Partnerships (3DPs)’. 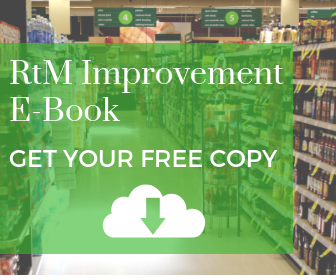 Please subscribe to the blog on this page, to ensure you don’t miss the latest updates on RtM excellence in execution and the 20 Steps model. If you would like to know more about the 20 Steps click here.